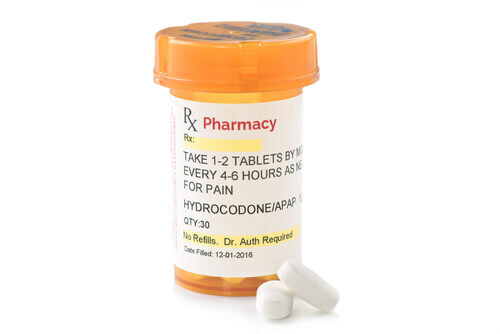 Hydrocodone is a pain medication prescribed to patients suffering from severe pain due to injuries or dental procedures. The medicine is available in the extended-release capsule or tablet form for oral ingestion. The dosage varies according to the patient profile and their needs. Due to the habit formation tendency of some patients, doctors start with minimum hydrocodone doses at first. If the medication does not treat the pain effectively with this dosage, the doctor may gradually increase it. The purpose of this article is to enlighten the reader about the way to determine the right dosage and schedule. Note that the following information refers to the use of the drug in the medical purposes, as the hydrocodone recreational dose might vary for different individuals. 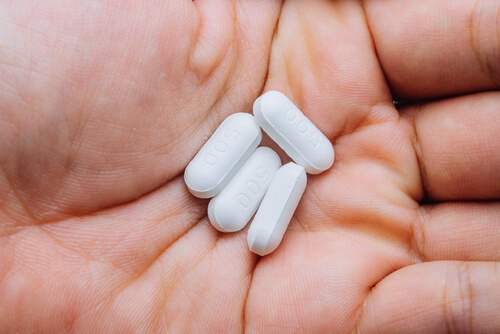 What is the Regular Hydrocodone Dosage? What is the Dosage for Hydrocodone Combination Drugs? What are the Variables that Affect Dosage Prescription? How to Take the Hydrocodone Dose Correctly? What to Do If Someone Missed a Prescribed Dosage? What is the Lethal Dose of Hydrocodone? The pain reliever comes in many different doses and combinations. Zohydro is the only FDA-approved medication that comprises pure hydrocodone. Doctors prescribe it in cases where patients suffer from severe pain. The medicine comes in doses starting from 10mg till 50mg. However, doctors initially prescribe a dosage less than 15mg. The starting dose is to take hydrocodone 10 mg every 12 hours for individuals above 18. There is a lack of evidence to suggest that the medication is suitable for individuals under 18. While previously it was common for doctors to prescribe cough syrup with hydrocodone, FDA, starting 2018, banned all such medication for pediatric use. For people tolerant to opioid use, health professionals can increase the hydrocodone dose by 10 mg every 12 hours after 3-7 days. However, halt the increment once the pain management process is effective. Changing the dosage from 10 mg to 15 or 20 mg hydrocodone is a safe shift. The maximum dose of hydrocodone and acetaminophen in the 5/325 mg form is eight tablets whereas, for the second form, it is six tablets per day. The other common prescription is hydrocodone/homatropine syrup and pills. The maximum dosage for this solution is 30 mg/9 mg per 24 hours, which usually equals to six tablets or 30mls of the syrup. Individuals that are opioid naïve require monitoring while taking their initial hydrocodone dosages. Some health professionals prescribe 5mg to test the tolerability of opioid use. People who are not tolerant of opioid use are prescribed very low dosages. FDA decided to place a ban on all medications containing this drug for children under 18 years since 2018, so there is no pediatric dose of this opioid. However, even for patients suffering from pain and more than 18 years of age, the weight requirement is at least 101 lbs. People suffering from severe liver and/or kidney disease should avoid using this medication. Therefore, the doctor will first advise a number of kidney and liver tests before determining the max dosage of hydrocodone. It is however strongly suggested to take a different course of treatment in such cases. It is extremely important to follow the hydrocodone dosage chart shared by the doctor since addiction to this substance is fairly common. The medication should be taken at a fixed time for the prescribed time period. Moreover, consumption of ample water is advisable during the time an individual is using this medication. Note, that expired hydrocodone dose effect is unpredictable and is likely to be less efficient in pain management. The doctor might gradually increase the dosage if the pain is not subsiding. For example, a shift from 5 mg to 7.5 mg is usually the first step. The most common side effect is known as the hydrocodone nausea experienced by many patients. In case of a missed dosage, it is recommended to take the medication as soon as an individual realizes. However, in case it is time for the next dosage, it is advised to skip the missed dose and continue with the regular schedule. Remember, that symptoms of the missed dose can be similar to those after quitting hydrocodone cold turkey. Stick to the schedule prescribed by the doctor and do not change the dosage of the medication without prior consultation with a medical professional. Health professionals don’t recommend a hydrocodone high dose. However, knowing how much hydrocodone is too much is important for all patients. Many people risk themselves of suffering serious consequences due to opioid abuse. The lethal dose of hydrocodone is 90 mg. However, people with reduced tolerability may not be able to handle a dosage lower than 90 mg either. It is thus important to only stick to the amount prescribed by the doctor. Note that hydrocodone withdrawals home remedies are unable to cope with taking too much and it is necessary to call an emergency service immediately if taken hydrocodone LD50. People suffering from addiction symptoms should consider one of the substance abuse treatment options available nationwide. The early intervention is one of the main components of the successful recovery. Many people look for the fastest way to get hydrocodone out of your system at home. However, nothing works better than professionally supervised medical detoxification. If you or your loved one suffers from such medication addiction, seek help today by contacting us at 888-459-5511. All the phone calls are confidential and free.